Anyone who has experienced coming home from work or the shops and finding they cannot park outside or near their home knows just how frustrating that can be. But imagine never or hardly ever being able to park near your home. That becomes infuriating. And that is what is happening to more and more council tax payers across the whole of Brighton and Hove. And it is the city council that must take the blame. Its strategy of setting up controlled residents’ parking zones has meant that vehicle owners who don’t want to pay to park have been moving their vehicles into areas where parking is still free. The result is that all across our city parking ghettos are being created. 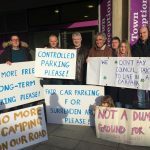 This week a deputation of residents from Coombe Road and the area around the Preston Barracks development site, backed by Councillor Daniel Yates, the council leader, asked the council’s Environmental, Transport and Sustainability (ET&S) Committee for a controlled parking zone (CPZ) in their area. Fortunately for them money was set aside from the developers for consulting residents about the scheme and it seems this could be used to pay for a parking consultation in their area. Good luck to them. Many of us know what they are suffering. In the Surrenden Road area, where residents have been campaigning all year to have a CPZ set up, not least because as many as 70 commercial vehicles, trucks, big American-style motor homes and cars are parked nose-to-tail and left there for months on end and in some cases for nearly a year. Many of these commercial and recreational vehicles are owned by individuals from outside the city. 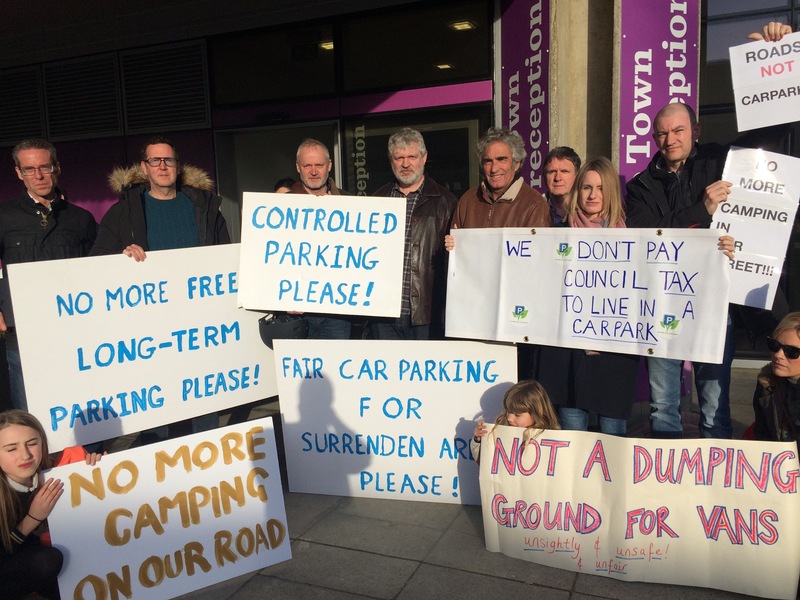 The council allows them free parking while condemning local tax-paying residents to an enduring misery created by the short-sighted ET&S Committee. The situation has become dangerous and intolerable. When residents there made a deputation to the ETS committee in March they were politely but firmly told to wait their turn. Even though they set out a financial plan showing the scheme would be self-funding and become profitable in a very short time, they were told that the council’s plan could not be amended. Unlike around Preston Barracks. Even members of the committee voiced frustration at the unwillingness of the administration to demonstrate any interest in the plight that its decisions have created. This area is not alone. As well as these two examples there have been concerns raised by families living around Hove Park, Portslade and Hangleton. In Carden Hill last year tyres on vans parked there were slashed. It all adds up to an awful lot of dissatisfied council taxpayers. And an awful lot of voters. The council has decided that its plan is set in stone, except when outside money can be conjured up. But the plan is not working and huge numbers of residents are suffering as a result. Those residents deserve to be listened to. Because the council plan is not working, it should be looked at again. Michael Edwards is a member of the Surrenden Area Parking Campaign. it is almost like their income and ability to provide services has been stripped bare by 8 years of austerity or something..? The Surrenden problem could be easily resolved with a single yellow line with no parking for 1 hour each day. It works elsewhere. There should be a parking zone that is for residents that live in Brighton and hove alowwing those that have paid to park anywhere and this would stop those area being targeted by none payers or just get ride altogether. 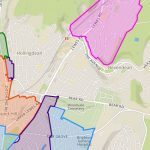 My daughter lives in an area that is restricted between 11-12 and 6-7 making it difficult for people to visit after work. I wonder how many family’s are unable to visit families and friend due to the resrictions. Yes you can get vouchers but this is not strait forward and at further cost to residents. Sort it out Brighton and Hove. As a Brighton resident, visiting elderly relatives in Hove is made difficult by parking restrictions. I’m always having to move the car to make sure I’m not going to get a fine. It adds unnecessary stress to stressful situations. Our council charge far too much for residents to park in areas that they don’t directly live in. We can’t all rely on the bus service, or cycle – people still do drive cars, and are discriminated against because of it. What the ‘author’ completely fails to mention is that the Surrenden area have already been consulted on a parking scheme………and decided against it!! Sometimes you just need to look at the bigger picture. get over it, you were asked previously and you rejected it, so now you have to wait your turn, just like everyone else! Most houses/flats in the surrenden area have private parking anyway!